Residents and staff of Castle View took part in Elf for Alzheimer’s day on 7th DEC Dressing up for the occasion and holding a coffee morning, cake sale and raffle. 2018 has been another fun filled year for the residents and staff at Ascot Care, here’s a look back over what has happened in the last 12 months. Care homes such as Springfield Lodge, Castle View, The Lawns and Westoe Grange have all undergone refurbishments giving them new conservatories, some with salons, re-decorated rooms giving bright spaces for residents to relax and enjoy the day. Residents throughout the year have been treated with entertainment, such as having music days, to play instruments, listen to professional singers, trips to the beach, tea dances, food and drink festivals, a visit to South Shields museum, the Discovery museum, Beamish, Alnwick Gardens and visits to our other care homes to socialise with other residents, along with our residents getting behind the England team during the World Cup earlier this year. Along with the entertainment, residents have been entering competitions and helping to raise money for charities. Competitions included, best Guy Fawkes, best pumpkin for Halloween, Elf for Alzheimer’s, Memory Walks and many more. Ascot Care also have been helping other charities throughout the year. Gareth and Gavin Nesbit played in a charity golf day to raise money for the ‘Beefy Foundation’, founded by Ian Botham, helping young people with chronic illness. We also held our very own charity golf day, played at Close House, raising money for ‘Hire a Hero’ helping those who have served in the forces getting back into employment. Ascot Care have been nominated in many awards this year. We were finalists in the ‘National Learning, Disability and Autism Awards 2018’. Then we went on to receive through the Armed Forces Covenant, the Silver Award for ‘Employer Recognition Scheme’ for continuing to be a business that strives to help ex-servicemen and their families after leaving the forces. Along with these awards we were nominated in several categories at the ‘Great British Care Awards’. We are pleased to say for another year we have maintained our high standards in care and have received a rating in all our care homes of GOOD, awarded by the CQC (Care Quality Commission). Later in the year came Remembrance Sunday which is an important time of year for our residents and staff. Local schools made displays of poppies and residents also created their very own masterpieces, which were put on display for the public to see. Our residents were able to visit the ‘There but not there project’, watch the procession and attend the service of remembrance. 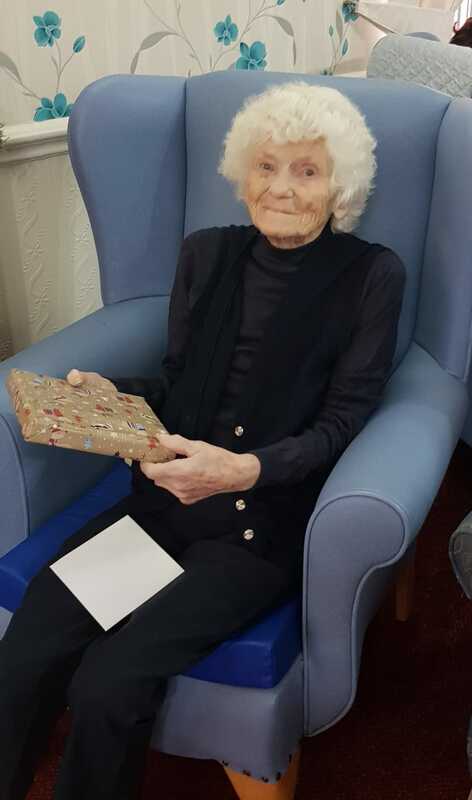 Christmas has been an entertaining time for all at Ascot Care. Our care homes have been highly decorated giving a fun and happy atmosphere. 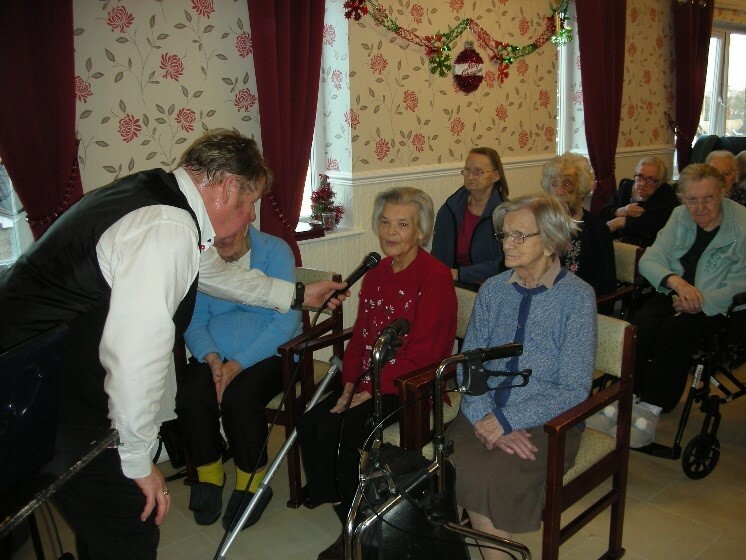 The residents have visited fairs, listened to choirs and watched pantomimes put on by the North East Production Company. It has been fun to watch our residents taking part in Christmas Jumper competitions and seeing the hampers being awarded to the winners. Also at this time of year, Ascot Care have helped raise money for ‘Mission Christmas, Cash for Kids’, helping underprivileged children in our region, have a safe and happy time and receive a present. Again Ascot Care would like to thank everyone who has helped 2018 be so successful and wishes everyone a Happy New Year. Ascot Care are delighted to be able to say that this month we are celebrating 30 years in care. We began Ascot Care 30 years ago to provide high quality residential care to those who needed it. We are exceptionally happy that over the years we have succeeded and Ascot Care has grown from one care home to 6 care homes across the North East of England from Alnwick to Darlington. Alongside the care homes is our agency, enabling us to source and train staff to the highest of standards for the best service our residents require and deserve. We are extremely proud of the success of Ascot Care and would like to thank our staff, old and new, some who have been with us from the very beginning, for helping make Ascot Care what it is today. We are looking forward to another 30 years of providing high quality care to our residents. All the staff at Ascot Care wish everyone well for a great 2019.